You need the right dog carrier to ensure that your pet can travel safely alongside you. 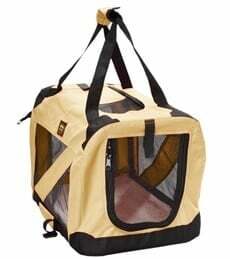 There are many factors to consider when buying the best pet carrier for a French Bulldog, and this article will guide you through the process so that you can make the right choice. PetWave considers the French Bulldog to be among the most sweet and mild-mannered companion breeds in the world. 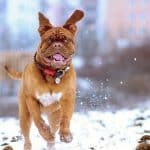 They tend not to be the most energetic of dogs and won’t relish the prospect of going for a jog with their owner, but this breed loves to play. Toss a ball or a toy around the house of your backyard, and your pet will be in heaven. It can sometimes be a challenge to train a French Bulldog, though – and that includes getting them used to a pet carrier. They can be very stubborn, and they’ll grow bored unless you focus their attention with treats. Crate training is highly advisable to avoid bathroom-related accidents. 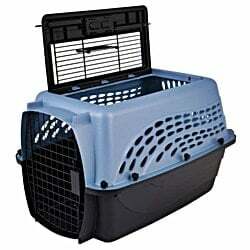 The use of a pet carrier while traveling could be considered to be a logical next step. 1 What Size Carrier Will I Need for a French Bulldog? 1.1 What Size is a Typical French Bulldog? 2 What Are the Best Carriers for a French Bulldog? 2.4 Are French Bulldogs Prone to Separation Anxiety? 3 Are French Bulldogs Allowed on Flights? What Size Carrier Will I Need for a French Bulldog? The carrier should be tall enough for your dog to stand up on all four legs. It should provide enough space for your dog to turn around of his or her own accord. Your dog should be able to lie down and stretch out if necessary. If they are in the carrier for a while, they may want to doze. The carrier should have some way of securing your dog’s collar for security. Your dog should be able to make himself or herself comfortable. If they’re going to learn to enjoy their carrier, they will have to find it safe, cozy, and pleasurable. This means that a French Bulldog carrier with a handle should allow between 2 and 5 inches of additional height and width, though a backpack or something else wearable should be considerably more snug. You will not want your dog to be able to squirm or wriggle around in such a setting as this could lead to your canine leaping out and hurting themselves. However, there are other things that you’ll need to bear in mind. For a start, think about the weight. If you pick out a hard plastic crate that’s a struggle to lift from the pet store shelf, it’s going to be a lot worse when you have your canine companion sitting inside it. You’ll need to be able to walk distances without having to stop, or worse, risking dropping the carrier. Also, you should consider your dog’s temperament. If your pet is curious and inquisitive, make sure they have plenty of windows and spaces to poke their head out of. If your dog is nervous, ensure that you’ll be able to see you – and stay close to you – at all times. Here are some dog crate selections for nervous pets. If they are food-focussed (which a French Bulldog tends to be! ), you should ensure that they can tuck into many treats while they’re on the move. Every dog is unique, and will thus find different qualities to love and loathe about their pet carrier. What Size is a Typical French Bulldog? A French Bulldog will be considered a small breed of dog. According to Dogtime, they typically stand at around 11 inches once fully grown, while an adult French Bulldog will weigh around 28lbs. This is good news for anybody that plans on carrying their dog around with them, as any more than this could become weighty. The size – can your dog move around inside their carrier? The weight – can you lift the carrier, including your dog’s weight, and carry it without growing tired? The comfort – is the carrier cozy enough for your dog to enjoy being inside it, rather than merely tolerating it? The security – is the carrier secure enough to protect your dog on the back seat of a car, on a plane, or any other form of transportation that could get bumpy? Access to food and water – does your carrier have enough room for snacks and a water bottle? Your dog’s persona – does the carrier fulfill any needs that your dog may have to be happy? Can they see you, and receive a reassuring stroke if they start displaying signs of separation anxiety? As the old saying so nearly goes, if you buy wrong you’ll pay twice when it comes to a pet carrier. Don’t rush into the purchase, as you’ll want to invest in something that will last you and your pet for a prolonged period of time. Dogs are creatures of habit, and if your French Bulldog bonds with his or her carrier they’ll no doubt want to use it time and again. What Are the Best Carriers for a French Bulldog? When the time comes to decide on the ideal carrier for your French Bulldog, the first decision that you will have to make is the kind of tool that you’d like. Solid plastic crates, which can be carried by a handle and are suitable for long-distance travel and flights. Carrier backpacks, which are ideal if you’re taking a long walk and your French Bulldog isn’t able to keep up and might need to be carried for part of the journey. Once you have weighed up the pros and cons of each of these different designs, take a look below for some insights into particular models of each and decide which one to invest in! 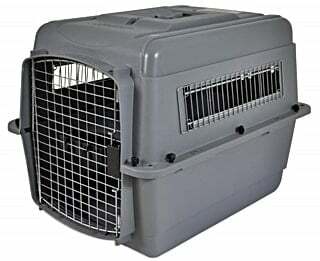 If you have managed to clear your dog for air travel, there is only one option open to you – a solid, hard-sided carry crate. There are more purposes than just flying for these devices though, as they can also be used around the house as a second bed (or den) or to keep your dog safe in the car. Available in four colors, this PetMate hard-sided crate opens at the front and the top – think of it as a canine sunroof. The grates on the front and the top allow your dog to see out, and there’s plenty of ventilation available from the sides of the crate. Standing at 24 inches by 17 inches, you should be able to keep your dog very comfortable in this crate (it’s designed with small dogs in mind), and it comes with a handy carry handle. There is a reason why this carrier is a huge seller, and arguably the most popular of its ilk. Finally, allow us to say once more for good measure – if you are planning air travel with your French Bulldog, this particular crate is approved for use on most airlines. It’s just getting the OK to transport your dog that you’ll have to contend with. Find out about the Petmate Two Door Top Load Dog Kennel on Amazon! It’s hard to think of a more well-regarded brand and model of pet carrier than the humble Sky Kennel from PetMate, and it’s not hard to understand why. It’s available in six different sizes, is perfectly secure thanks to a grate on the front and ventilated windows on the side, and as the name suggests, it’s air travel appropriate. Let’s deal with the elephant in the room first of all – the Sky Kennel isn’t the most aesthetically pleasing option open to you. If practicality is your priority, however, it’s hard to suggest that the product puts a foot wrong. It comes with a carry handle, it’s as sturdy as anything could hope to be, and there are even clip-on food and water bowls. The 28 x 20.5-inch model is probably the best option for a French Bulldog, but you can make your judgment call based on your dog’s needs. If you make regular overseas trips with your pet, the Sky Kennel may be an essential purchase. If you’ve decided that a carry bag is a good option, here are some reputable soft-sided suggestions. If you’re looking for the most spacious carry crate for your dog without sacrificing storage space, this one is hard to beat. It’s available in many different colors and sizes, but whichever one you choose you’ll be able to condense it to just 2 inches in width. It’s also as light as a feather, meaning that when you pick up the carry handles you’ll only really detect your dog’s body weight. Don’t make the mistake of thinking this lightweight nature means that the pet carrier is flimsy or unsafe though, it’s still wholly sturdy. The reference to 360O in the name of the product refers to the fact that your dog will be able to see out at all angles, though the carrier also offers barriers to the senses. This may prevent your dog from growing over-excited, but it could also leave them feeling a bit abandoned. It’s up to you to decide whether your pet will be able to cope with that! This carry bag is a good strong all-rounder, and although it’s not ideal for anybody where space is an issue while you travel (and, like all soft-sided carriers, you won’t be able to take it on a plane), but you could always use it as somewhere for your dog to relax in the home. Find out about the 360O Vista View House Pet Crate on Amazon! 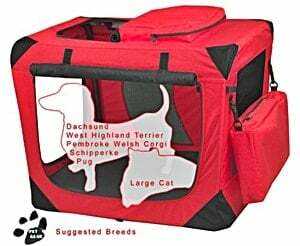 The carrier has three mesh doors for easy access, as well as affording your dog the opportunity to see you no matter where you are, and it can be folded up and stored while not in use. There’s even an additional pouch attached to store those all-important treats! This is arguably the greatest crate for when you reach a destination, as its perfect for camping (it’s waterproof, so there’s no smell of wet dog to contend with! ), setting up in a strange room when visiting friends or family, or even for perching on the back seat of a car. The only drawback is that the crate does not come with carrying handles, so you’ll have to find an alternative method of getting it from A to B while in transit. Find out about the Pet Gear 3 Door Portable Soft Crate on Amazon! If your French Bulldog is prone to the occasional accident, take a look at our guide to how to clean a soft-sided carrier to ensure that you can continue using it! French Bulldogs love to be close to their owners, and in fairness, most pooch parents love to be close to their dogs too! This could mean that a travel backpack is the best way to get mobile with your pet when they’re not trotting along at your heel. 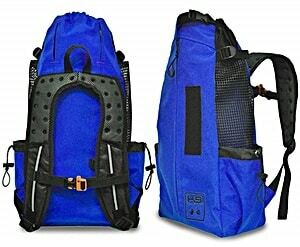 At a glance, the Sport Sack AIR looks like just another backpack similar to those that you may pick up in any outdoor shop. It soon becomes clear that this is something a little different, though. As always with a backpack, there are a handful of mesh side pockets for bits and bobs that you’ll want to carry with you such as a bottle of water, and the bag comes in five different colors. You can also clip your dog’s collar onto a safety harness to prevent any unplanned tumbles. Perhaps the best thing about this bag is the fact that you can house your dog on your back or front – it’s completely reversible. You’re going to have to go large for a French Bulldog to make themselves comfortable, but once they do you will struggle to convince your pet to ever use their legs again. 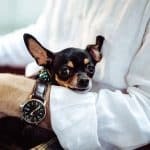 If you are planning on traveling with your French Bulldog – whether that’s just into town with your pooch in the back seat of your car or across the Atlantic for a European adventure – you’ll need to ensure that you have the best possible carrier for the job. A comfortable dog is a happy dog, and a happy pooch makes for a contended parent that feels smug about a job well done. Find out about the K9 Sport Sack AIR Dpg Backpack on Amazon! 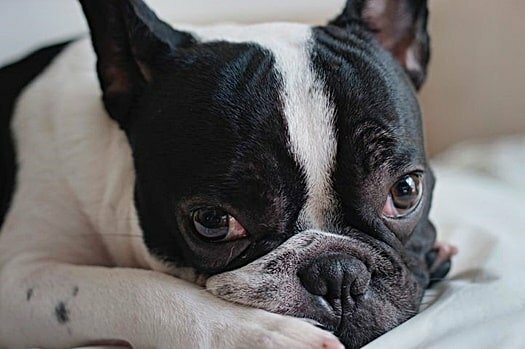 Are French Bulldogs Prone to Separation Anxiety? Herein lies the problem with such a loving and loyal companion dog; French Bulldogs are very prone to separation anxiety, and kick up a real stink when their owners leave them for any prolonged period of time. They’ll bark up a storm, and annoy everybody around them. If you’re planning on traveling with your French Bulldog and thus won’t be able to shower them with attention, especially if it’s air travel, you’re going to have to get your dog used to its own company for a while. Are French Bulldogs Allowed on Flights? It all depends on the airline. Skyscanner has a summary of which airlines may allow you to bring your dog with you, and whether you’ll be permitted to treat your pet carrier as hand luggage in the hold or whether your dog will need to travel alone in the cargo hold. A brachycephalic dog means that they will quite possibly suffer from brachycephalic airway obstructive syndrome, which leaves the poor dog struggling for breath – a common sight with short-nosed dogs such as pugs and, yes, French Bulldogs. More and more airlines are taking steps to ban these breeds from airplanes in the name of safety. As a French Bulldog often struggles for breath – hence the snorting, grunting, huffing and puffing – they may fall victim to this blanket ban. If you have any doubts about whether your dog will be able to travel on a flight, you should call the airline before booking your ticket. You can then make a judgment call as to whether the arrangement is mutually beneficial for you and your pet. Also, remember that a French Bulldog isn’t crazy about being left alone, so unless you’ve undergone a very thorough training regime, you may be subjecting them to a great deal of emotional trauma by forcing them to travel in a cargo hold. Here is our in-depth guide to dog carriers for flights.